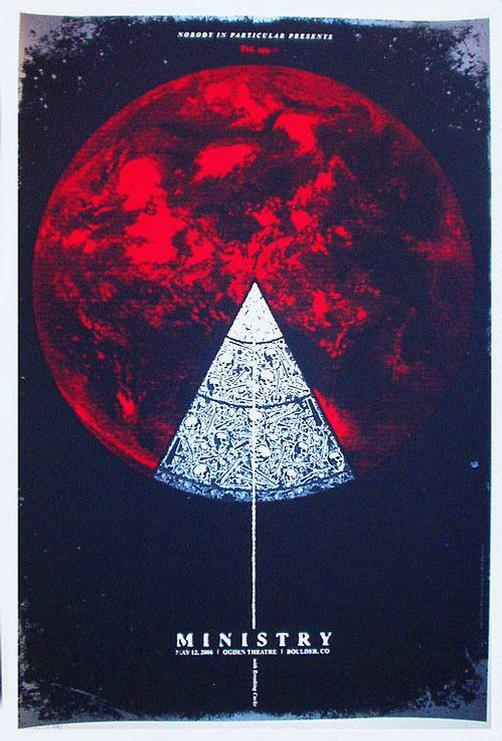 Original concert poster for Ministry at the Ogden Theatre in Denver, CO from 2006. 17 x 24 5 color silkscreen. Signed and numbered edition of 200 by artist Todd Slater.